This article is about the musician. For the novelist, see Tom Dolby. 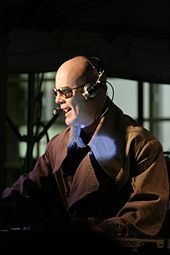 Thomas Morgan Robertson (born 14 October 1958), known by the stage name Thomas Dolby, is an English musician, producer, entrepreneur and teacher. He came to prominence in the 1980s, releasing hit singles including "She Blinded Me with Science" (1982) and "Hyperactive!" (1984). He has also worked in production and as a session musician. In the 1990s, he founded a sound technology company, Beatnik, in Silicon Valley, whose technology was used to create the Nokia tune. He was also the Music Director for the TED Conference. Currently on faculty at the Peabody Institute at Johns Hopkins University, Dolby leads Peabody’s Music for New Media program, which enrolled its first students in the fall of 2018. Robertson was born in London, England, contrary to at least one interview in the 1980s in which he claimed, "I was born in Cairo, because my father is an archeologist" (many subsequent articles since that time have re-published or reprinted that spurious claim). His father, Martin Robertson, was an internationally distinguished professor of classical Greek art and archaeology at the University of London, Oxford University, and Cambridge University (Trinity College). His great aunt was British Suffragist Margaret Hills. In his youth Thomas lived or worked in France, Italy and Greece. He attended Abingdon School in 1975–1976, completing his A Levels while there. One of his first jobs was a part-time position at a fruit and vegetable shop. I sang in a choir when I was 10 or 11, and learned to sightread single lines, but other than that I don't have a formal education. I picked up the guitar initially, playing folk tunes—Dylan—then I graduated to piano when I got interested in jazz, listening to people like Oscar Peterson, Dave Brubeck, Bill Evans, Thelonious Monk, and so on. The first electronic instruments started to become accessible in the mid-70s and I got my hands on a kit built synthesizer and never looked back. The Thomas Dolby stage name originated from a nickname that he picked up in the early 1970s, when he was "always messing around with keyboards and tapes". His friends nicknamed him "Dolby", from the name of the audio noise-reduction process of Dolby Laboratories used for audio recording and playback. Robertson chose to adopt the stage name "Thomas Dolby" to avoid confusion with British singer Tom Robinson, who was popular when Robertson began his career. Early publicity implied that "Dolby" was a middle name, and that the artist's full name was Thomas Morgan Dolby Robertson; this is legally incorrect, but he does sometimes informally go by the initials TMDR. After the release of "She Blinded Me with Science", Dolby Laboratories expressed concern regarding the musician's stage name. Dolby's record label refused to make him change his name, and Dolby Labs did not raise the issue again until later. After a lengthy legal battle, the court decided that Dolby Labs had no right to restrict the musician from using the name. It was agreed that the musician would not release any electronic equipment using the name. Inventor/founder Dr. Ray Dolby had a son named Thomas, now a novelist professionally known as Tom Dolby. Dolby is associated with the new wave movement of the early 1980s, a form of pop music incorporating electronic instruments, but Dolby's work covers a wide range of musical styles and moods distinct from the high-energy pop sound of his few, better-known commercial successes. Originally released in the UK and US including the songs "Europa and the Pirate Twins", "Airwaves", and "Radio Silence", the first releases of Dolby's first solo album, The Golden Age of Wireless (Harvest, 1982) did not include the album's signature hit, "She Blinded Me with Science". After the five-song EP Blinded by Science introduced the catchy single, The Golden Age of Wireless was re-released with the single that, combined with its accompanying video, became Dolby's most commercially successful single, reaching No. 5 on the Billboard Hot 100. The album was released a total of five times, each with changes in song order and included songs, or even including a different version of "Radio Silence" or extended remix of "She Blinded Me with Science". Dolby's debut album, Wireless, peaked at No. 13 on the Billboard album chart. It juxtaposed themes of radio technology, aircraft, and naval submarines with those of relationships and nostalgia. While much of the album's instrumentation is synthesizers and samplers, the album credits a long list of guest musicians as well, with instruments ranging from harmonica and violin to guitar and percussion. "She Blinded Me with Science" included spoken phrases from Magnus Pyke. A short sample was included in the "Treehouse of Horror XIV" episode of The Simpsons, where Professor Frink was winning an award at a science convention. It was also sampled at a lower speed by the group Mobb Deep in the 2006 song "Got it Twisted". "She Blinded Me with Science" was also used as the theme song for the pilot episode of broadcast television sitcom The Big Bang Theory though it was not used for later episodes (it was, however, later used in that show as Howard's cell phone ringtone in the season 2 episode "The Vegas Renormalization" and season 3 episode "The Creepy Candy Coating Corollary"). Beginning in 1983, Dolby collaborated with a number of artists in an occasional studio-bound project called Dolby's Cube. The project had no set line-up, and was essentially a forum for Dolby to release material that was more dance-oriented. Dolby's Cube released a single in 1983 ("Get Out of My Mix"), another in 1985 ("May the Cube Be with You"), and performed soundtrack work for the film Howard the Duck in 1986. Collaborators in Dolby's Cube at various junctures included Lene Lovich, George Clinton of Parliament-Funkadelic, Francois Kevorkian, and Lea Thompson. In 1984, Dolby released his second LP, The Flat Earth (Capitol), which peaked at No. 14 on the UK Albums Chart and at No. 35 on the Billboard album chart in the US. Utilizing a wide range of influences ranging from nostalgic jazz, funk-tinged Motown R&B, and world music along with a strong electronic element and featuring a slew of guest musicians, including longtime Dolby collaborator Matthew Seligman on bass, Kevin Armstrong on guitar, and Clif Brigden on percussion, and guest vocals from Robyn Hitchcock, Bruce Woolley and others, The Flat Earth further established Dolby's wide range of talents as musician, songwriter, and producer. The album also included a cover of the Dan Hicks song "I Scare Myself". "Hyperactive!" was the first and most successful single from the album, peaking at No. 17 on the UK Singles Chart, making it Dolby's highest-charting single in his home country. In contrast to the overall introverted nature of The Flat Earth, Dolby described his next release, Aliens Ate My Buick (1988), in the following quote: "I think it's very bold. Some people who've known my stuff from the beginning find it a bit hard to stomach. They think it's a bit brash. It's certainly unsubtle in a lot of ways. It goes for the jugular. There was always a side to the stuff that I did that was very extroverted and wacky. The flip side of the coin was the more atmospheric, moody stuff. There was always room for both of them. But this album, with the exception of maybe one song ["Budapest by Blimp"], is all on the extrovert side." Aliens Ate My Buick was strongly funk and dance influenced. The first single was "Airhead", a satirical song about a stereotypical young-and-rich Californian woman, which peaked at No. 53. The second single, "Hot Sauce", a cover of a George Clinton song, peaked at No. 80. There was one more single, "My Brain Is Like A Sieve", which peaked at No. 89 on the UK Singles Chart. The album was co-produced by Bill Bottrell, and featured Terry Jackson on bass guitar. For Astronauts & Heretics (Virgin UK), Dolby expanded even further stylistically, starting the songwriting process at the piano, then again collaborating with a variety of guest musicians. Both Bob Weir and Jerry Garcia played guitar on "The Beauty of a Dream". Eddie Van Halen plays on "Eastern Bloc" and "Close but No Cigar". Other collaborators included Jimmy Z on sax, Budgie on drums and Leland Sklar on bass guitar. Terry Jackson also contributed bass guitar on four songs before his 1991 death in a plane accident with seven other members of Reba McEntire's support band for her "For My Broken Heart" tour. The highest-charting song off this album was "Close but No Cigar", which reached No. 22 on the UK charts. Two other songs on the album, "I Love You Goodbye", and "Silk Pyjamas" employed Zydeco influences, courtesy of Crowley, Louisiana and guest musicians Michael Doucet of BeauSoleil on violin, Wayne Toups on accordion, and Al Tharp on banjo. Even though some recording for the album was done in remote locations, the bulk of Astronauts & Heretics was recorded at NRG Recording Studios with input from trusted Dolby co-producer Bill Bottrell, and mixed down at Smoke Tree Studios in Chatsworth, California. Following his involvement in Beatnik Inc, Dolby returned to his musical career in 2006. He performed his first solo public show in 15 years at the Red Devil Lounge in San Francisco, California on 21 January 2006, surprising the crowd who were there to see local band Notorious. He then launched an American tour, the Sole Inhabitant Tour, on 12 April, comprising a string of small dates in California, a science education benefit in Boulder, Colorado, and gigs across America before receptive crowds. The United States leg of the "Sole Inhabitant Tour 2006" was captured on a "live" CD and DVD. The CD represents a recording of two gigs played by Dolby at Martyrs in Chicago, while the DVD was filmed at the Berklee Performance Center at Berklee College of Music. The DVD also includes a 30-minute interview, and a lecture by Dolby at the Berklee College of Music. Both the CD and DVD were released in November 2006, and are distributed through CD Baby and iTunes. Dolby autographed and numbered the first 1,000 copies of the CD and DVD. A show at the 800 capacity Scala club in London was booked for 3 July 2006 as a warm-up for Dolby's Hyde Park set opening for Depeche Mode. The show sold out in a matter of days and prompted Dolby to reprioritise the UK, resulting in him moving with his family from California back to England, and a nine-date Sole Inhabitant tour of the UK in October 2007, coinciding with the release of a lavish box set of the Sole Inhabitant CD and DVD by UK independent label Invisible Hands Music. Thomas toured throughout the months of November and December 2006 with electronic musician BT. This tour included a version of "Airwaves" that BT added his own technique to, which was the opening song on the UK leg of the Sole Inhabitant tour (sans BT). The 2007 UK Sole Inhabitant tour included three new songs previously played on the US tour, one called "Your Karma Hit My Dogma" another called "Jealous Thing" and a cover version of The Special AKA's "What I Like Most About You Is Your Girlfriend". "Your Karma Hit My Dogma" was inspired by Kevin Federline's unauthorised use of a sample from Mobb Deep's "Got It Twisted" which in turn had used an authorised sample of "She Blinded Me with Science". The tag-line from that story became the title of the song. The wording was lifted by Thomas from a bumper sticker on a car that he saw whilst living in the San Francisco Bay area. In a move close to performance art, Dolby tried to post a 'cease and desist' legal letter on Kevin Federline's MySpace page when other attempts to contact him proved fruitless. The song is on the Live at SxSW EP. The second new song, "Jealous Thing" was performed at least at The Graduate in Cambridge and London's Islington Academy on the UK tour in Summer 2007 and features a Bossa-Nova type rhythm. A CD + DVD set entitled The Singular Thomas Dolby has been released by EMI on 18 May 2009. As the name suggests it is a digitally remastered compilation of previously released singles. The DVD contains all the video singles which were available on the original VHS/BETA/LASERDISC release of The Golden Age of Video, as well as the videos for the songs "Silk Pyjamas", "I Love You Goodbye", and "Close but No Cigar". These three missing videos are for the singles taken from the 1992 album Astronauts & Heretics, which received critical acclaim but garnered unimpressive sales. The Golden Age of Wireless and The Flat Earth were reissued and remastered later that year with numerous previously unreleased bonus tracks. The former was a two disc set including a DVD of the complete "Live Wireless" video. In 2010 Dolby began work on a new studio album entitled A Map of the Floating City. The album is divided into three parts, with the first two parts initially made available to members of The Flat Earth Community Forum, Dolby's online community. Each of the three digital EPs takes its name from one of the three sections of the full-length album that later followed. The first EP, Amerikana, was released digitally on 16 June 2010. The second EP is entitled Oceanea, and was released on 29 November 2010. Due to favourable reviews and radio airplay, Oceanea was released commercially on 28 March 2011. The third section of the album, entitled Urbanoia, was not released as a download or physical CD, but the songs were premiered online as part of the Floating City game (see below). Contributors to the album include Kevin Armstrong, Matthew Seligman (both had played together with him on The Flat Earth and as part of David Bowie's Live Aid appearance), Bruce Woolley, drummer Liam Genockey, guitarist Mark Knopfler of Dire Straits, Regina Spektor, Natalie MacMaster, Eddi Reader and Imogen Heap. I marvel at the new landscape of the music business – distribution via the Internet and recording technologies I barely dreamed of when I started out," he continues. "But this album does not sound electronic at all. I have zero desire to add to the myriad of machine-based, synth-driven grooves out there. The Net has made a music career approachable for thousands of bands – but I hear too few single-minded voices among them. What I do best is write songs, tell stories." "The new songs are organic and very personal. This album is a travelogue across three imaginary continents. In Amerikana I'm reflecting with affection on the years I spent living in the USA, and my fascination with its roots music. Urbanoia is a dark place, a little unsettling ... I'm not a city person. And in Oceanea I return to my natural home on the windswept coastline. A Map of the Floating City was recorded in the "Nutmeg of Consolation", Dolby's recording studio built within a 1930s lifeboat and powered entirely by renewable energy, which is located in the garden of Dolby's beach house on England's North Sea coast. In June 2011 Dolby announced the Map of the Floating City game, a multiplayer online game that shares a title with the full-length album release planned to follow after the game's conclusion. In Dolby's own words, "The Floating City is set against a dystopian vision of the 1940s that might have existed had WWII turned out a lot differently." Survivors explore a fictional Google map, forming tribes and trading relics amidst a bizarre sea-going barter society. As they struggle to unravel the enigma that is The Floating City, players can haggle over merchandise and music downloads, including brand new songs from A Map of the Floating City, Dolby's first album in 20 years, scheduled to be released following the climax of the game. The game was played from June through August 2011, and included elements of trading, mystery, competition, and co-operation. Players earned free song downloads, and the winning team or "tribe" was awarded a private performance from Dolby. Dolby said he became interested in electronic music because "I'm not a very proficient keyboard player, so the computer became my musical instrument ... None of the equipment is essential, though. In a way, I was happier when I just had one monophonic synthesizer and a two-track tape deck"
Chucho Merchán Guitarist on the Dolby's Flat Earth Tour. George Clinton – Dolby contributed guest vocals to Clinton's Some of My Best Jokes Are Friends album. Clinton also collaborated on Dolby's Cube's "May the Cube Be with You" and appeared in the music video for the song; as well as writing the song "Hot Sauce" on Dolby's Aliens Ate My Buick album. Ryuichi Sakamoto – Dolby collaborated with Sakamoto on the single "Field Work"
Thompson Twins – Dolby played additional synths on the 1982 Thompson Twins album "Set"
Early in his career, Dolby played keyboards with Bruce Woolley and the Camera Club and is credited on their debut album. The instrumental track "WW9" in the album 'English Garden' is the first recorded example of Thomas' writing. He also wrote Lene Lovich's hit single "New Toy" and played keyboard as part of the backing band for her tour. Dolby played some synthesizer parts on the Thompson Twins album Set and co-wrote "Magic's Wand" with Whodini, and played keyboards on one track ("Love") on Robyn Hitchcock's first solo album, 1981's Black Snake Diamond Role. Dolby played synthesizer on two tracks on the album Pleasure by the band Girls at Our Best!. Around this time, he also formed a short-lived band called The Fallout Club. By far the most significant session relationship for Thomas in the early days was when he contributed the signature synthesizer sound on the track "Urgent" on Foreigner's 1981 album 4. On the same album he played the atmospheric synthesizer intro to the mega-hit "Waiting for a Girl Like You". The fees from this work, including tour dates, bankrolled the studio time for the recording of the 1980s benchmark album The Golden Age of Wireless from which his solo career began. In October 1981 Dolby made an appearance in the video for the Dave Stewart and Barbara Gaskin British number one cover of "It's My Party", playing the part of Johnny in the "Judy and Johnny just walked through the door" section of the song. The video made its first Top of The Pops appearance on 29 October 1981. Dolby also worked as session keyboard player on Def Leppard's 1983 Pyromania album. Dolby appeared on Pyromania using the alias Booker T. Boffin, as his affiliation to another record label restricted the use of his real name. 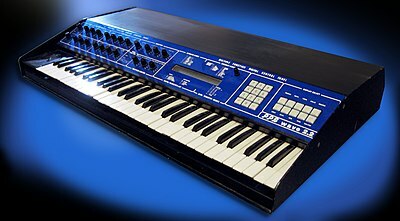 In 1985, Dolby appeared at the Grammy Awards, which were televised, along with Stevie Wonder, Herbie Hancock, and Howard Jones. All four musicians were successful in the mid-1980s music scene, and they were also all keyboard and synthesizer experts. That same year, Dolby performed at the Live Aid concert in London as part of David Bowie's band. In 1985, Dolby was credited as co-producer on Joni Mitchell's album Dog Eat Dog. He was credited as producer for Prefab Sprout's albums Steve McQueen, From Langley Park to Memphis, and Jordan: The Comeback. He also played keyboard on George Clinton's 1985 album, Some of My Best Jokes Are Friends. 1985: Scored the Richard Brooks film Fever Pitch. Re-used the main theme from Fever Pitch in "The Key to her Ferrari". 1986: Composed the songs for the George Lucas film Howard the Duck and chose the members of the film's fictional band, Cherry Bomb. 1986: Scored the Ken Russell film Gothic. "The Devil is an Englishman" was a single from Gothic featuring Timothy Spall on vocals. The instrumental solo appears on an early demo "Therapy/ Growth". The rhythm and bass track was re-used in "Budapest by Blimp". 1992: Composed and produced three pieces for the soundtrack of the animated movie FernGully: The Last Rainforest. 1992: Co-wrote and performed "The Mirror Song" with Robin Williams and Joan Cusack for Toys alongside Trevor Horn and Bruce Woolley. 1993: Scored the interactive movie Double Switch. 1994: Composed music for the third instalment of the CGI collection, Mind's Eye. 2015: "She Blinded Me with Science" is featured as a collectible cassette which can be played back as desired in the video game Metal Gear Solid V: The Phantom Pain. In 1990 Dolby played the role of the villain Stanley in the movie Rockula as well as contributing the songs "Stanley's Death Park" and "Budapest by Blimp". Dolby’s first experiment with virtual reality took place in Fall 1992, when he was invited by the Guggenheim Museum in SoHo, NYC  to design and install a sonic VR experience. This led to The Virtual String Quartet programmed by Eric Gullickson, and sponsored by Intel Corp. The experience ran on an IBM 386 processor with a Convolvatron 4-channel audio card. Users donned a head mounted display and found themselves in the midst of a CG string quartet playing Mozart. The sound was fully spatialized as the user moved around the physical space. Tickling a player with the joystick resulted in that musician switching to improvisation in a 'hot jazz' or Appalachian bluegrass style. At his software company Headspace Inc in the early 1990s, Dolby developed a set of interactive virtual musical instruments called Glyphs enabling users to jam together over the Internet. In the Fall of 2018, Dolby created a New Media workshop at The Peabody Institute of Johns Hopkins University  with VR equipment donated by HTC Vive. Students in his course are learning to compose music for VR and AR. On Oct 4th, 2018 Dolby performed a live score for the High Fidelity VR event ‘Escape from Zombie Island’. He appeared 'in-world' as his own avatar, where he triggered and played real-time horror film music. He also performed his first ever full VR concert at the Futvrelands Festival Nov 17th, 2018, in front of over 250 other avatars. In 1993, Dolby established the Headspace company. Headspace developed a new downloadable file format designed specifically for Internet usage called Rich Music Format with the RMF file extension. It had the advantage of small file size like MIDI but allowed recorded sampled sounds to be included at a higher bitrate for better overall reproduction. RMF music files could be played in a browser using the free Beatnik Player plug-in. Later versions of RMF permitted artists to place an encrypted watermark in their files that were supposed to prevent unauthorised duplication. In 1999, Headspace, Inc. was renamed Beatnik, Inc., and specialised in software synthesizers for mobile phones, which it licensed to mobile phone manufacturers including Nokia. Beatnik is no longer in business. While still remaining on the Beatnik board, Dolby stepped down from his position as CEO to pursue other technologically innovative interests, such as founding Retro Ringtones LLC in 2002, which produces the RetroFolio ringtone asset management software suite for companies involved in the mobile phone ringtone business. At the second annual Mobile Music Awards, Miami, Florida, in 2004 RetroFolio won "Best of Show" and "Best New Technology" awards. Dolby's musical talents have also been put to use creating hundreds of digital polyphonic ringtones on mobile phones, including the polyphonic version of the Nokia tune. He is often a speaker at technology conferences such as Comdex, Websphere, and Nokia. From 2001 to 2012, Dolby was Musical Director of the TED Conference, an annual event held first in Monterey, California, and subsequently in Long Beach, California. He provided live musical introductions to sessions, sometimes with a TED House Band, and as helping secure guest musicians and entertainers. Onstage, he played with singers and performers such as Eddi Reader, Natalie MacMaster, Rachelle Garniez and David Byrne, and premiered his own song "Love Is a Loaded Pistol" onstage at TEDGlobal 2010. He retired from the post in September 2012 to pursue music. In March 2012, Dolby spoke at the DESIGN West conference in San Jose, California at the McEnery Convention Center, produced by UBM Electronics. In March 2014, Dolby was named Homewood Professor of the Arts at Baltimore's Johns Hopkins University. In March 2017, The Peabody Institute announced Dolby would lead a new four-year undergrad degree program, Music for New Media, welcoming its first undergraduate cohort in fall 2018. Dolby married actress Kathleen Beller in 1988; they have three children. His brother is information retrieval researcher Stephen Robertson. In July 1998, Dolby received a "Lifetime Achievement in Internet Music" award from Yahoo! Internet Life. In 2012 he performed at Moogfest and was the recipient of The Moog Innovation Award, which celebrates "pioneering artists whose genre-defying work exemplifies the bold, innovative spirit of Bob Moog". In February 2018, Dolby was awarded the Roland Lifetime Achievement Award. Dolby has received four Grammy nominations, two each in 1984 and 1988. 1981 Thomas Dolby "Urges"/"Leipzig" — — — — — — — — Originally a non-album release. "She Blinded Me with Science" 49 1 7 5 3 6 49 19 Originally non-album releases. A Track did not chart in the United States and Canada until 1983, after the success of "She Blinded Me with Science". ^ "Seriously, Folks, Thomas Dolby`s Actually A Typical Englishman--loony". 23 June 1985. ^ "More Radiohead... and Shane MacGowan". Thomas Dolby Blog. Archived from the original on 17 July 2011. Retrieved 21 April 2008. ^ a b c d e f g h i Dolby, Thomas (11 October 2016). The Speed of Sound: Breaking the Barriers Between Music and Technology: A Memoir. Flatiron Books. ISBN 1250071844. ^ "Thomas Dolby on Music Education and the Evolution of the Music Industry". OneDublin.org. 14 April 2012. ^ Thomas Dolby. Thomas Dolby (webcast audio). Red Bull Music Academy Radio. Event occurs at 01:50. Retrieved 27 April 2013. ^ Cohn, Stuart (June 1983). "Thomas Dolby: A Techno-Geek Aims for 'An Emotional Event'". Record. 2 (8): 4. ^ a b Rideout, Ernie, ed. (2008). Keyboard Presents The Best of The '80s. Backbeat Books. p. 38. ^ Raggett, Ned. "The Golden Age of Wireless – Thomas Dolby : Songs, Reviews, Credits, Awards". AllMusic. Retrieved 5 February 2013. ^ "The Golden Age of Wireless – Thomas Dolby : Awards". AllMusic. Retrieved 5 February 2013. ^ Stannard, Joseph (28 September 2009). "Thomas Dolby: reflections on The Golden Age Of Wireless and The Flat Earth / In Depth // Drowned In Sound". Drownedinsound.com. Retrieved 5 February 2013. ^ a b Moss, Corey (5 April 2006). "Thomas Dolby Won't Turn Blind Eye To Kevin Federline Sample – Music, Celebrity, Artist News". MTV.com. Retrieved 5 February 2013. ^ Swan, Glenn (4 December 2010). "The Flat Earth – Thomas Dolby : Songs, Reviews, Credits, Awards". AllMusic. Retrieved 5 February 2013. ^ Ruhlmann, William. "Aliens Ate My Buick – Thomas Dolby : Songs, Reviews, Credits, Awards". AllMusic. Retrieved 5 February 2013. ^ Jeff Stratton (14 December 2006). "Before and After Science – Page 1 – Music – Miami". Miami New Times. Retrieved 5 February 2013. ^ a b c "Thomas Dolby Prepares First New Album in 20 Years". pluginmusic.com. 9 May 2010. ^ "Thomas Dolby – Press Release". thomasdolby.com. 28 November 2010. ^ Mike Ragogna. "TED, Solar Power, Windpower, and All Things Amerikana: A Conversation with Thomas Dolby". Huffingpost.com. Retrieved 5 February 2013. ^ a b c Adams, Ellen Snell (March 1994). "Good Heavens, Miss America! You're Virtual!". Computer Gaming World. pp. 54, 56. ^ a b "Musician in Transition: Thomas Dolby". Emusician.com. 12 September 2007. Retrieved 5 February 2013. ^ "Adele Bertei Discography at Discogs". Discogs.com. Retrieved 5 February 2013. ^ "Aleks Syntek". Retrieved 24 January 2019. ^ Jim Allen. "Q&A: Thomas Dolby Talks Tech, Plays Word Association". MTV Hive. Retrieved 6 August 2014. ^ "Thomas Dolby: I feared I'd 'screw up' Live Aid". CNN.com. 10 July 2015. Retrieved 24 January 2019. ^ Parke Puterbaugh (29 August 1985). "Some of My Best Jokes Are Friends | Album Reviews". Rolling Stone. Retrieved 5 February 2013. ^ "Gothic (1986)". Retrieved 22 March 2018 – via www.imdb.com. ^ "Gothic [Music From the Film] - Thomas Dolby - Songs, Reviews, Credits - AllMusic". AllMusic. Retrieved 22 March 2018. ^ "The Golden Age of Wireless - Thomas Dolby - Songs, Reviews, Credits - AllMusic". AllMusic. Retrieved 22 March 2018. ^ "Aliens Ate My Buick - Thomas Dolby - Songs, Reviews, Credits - AllMusic". AllMusic. Retrieved 22 March 2018. ^ "ProReview: Double Switch". GamePro. No. 66. IDG. March 1994. p. 62. ^ "The Invisible Lighthouse at IMDB". ^ "DIY Film Festival Names Winners of 11th Annual Competition". ^ "Johns Hopkins Peabody Institute Faculty Page". ^ "Music for New Media". ^ "Escape Zombie Island: A Pop-Up VR Arcade". ^ "Beatnik, Inc.: Private Company Information - Businessweek". Retrieved 24 March 2016. ^ Dolby, Thomas. ""Love Is a Loaded Pistol" premiere". TED.com. ^ Dolby, Thomas. "Thomas Dolby retires as musical director of TED Conferences". TED Blog. ^ "DESIGN West Keynotes". UBM Electronics. Archived from the original on 26 November 2012. Retrieved 5 February 2013. ^ "She Blinded Me With Science' singer Thomas Dolby to be Hopkins professor". Washington Post. 6 March 2014. ^ "Thomas Dolby to lead Music for New Media program at Peabody Institute". Hub (Johns Hopkins University). 16 March 2017. ^ "Talking with Thomas Dolby: 2012 Moog Innovation Award Winner | Moog Music Inc". Moogmusic.com. Retrieved 6 August 2014. ^ "Roland and BOSS Present Lifetime Achievement Awards to Thomas Dolby and Steve Vai". Rolandus.com. Retrieved 24 January 2019. ^ "GRAMMY Award Results for Thomas Dolby". Recording Academy. ^ a b c "Chart Stats – Thomas Dolby". chartstats.com. Archived from the original on 10 August 2011. Retrieved 22 April 2016. ^ a b c d "Allmusic ((( Thomas Dolby > Charts & Awards > Billboard Albums )))". AllMusic. Retrieved 17 October 2010. ^ "Item Display – RPM – Library and Archives Canada". Collectionscanada.gc.ca. Retrieved 10 May 2012. ^ Steffen Hung. "New Zealand charts portal". charts.org.nz. Retrieved 10 May 2012. ^ a b c d "Allmusic ((( Thomas Dolby > Charts & Awards > Billboard Singles )))". AllMusic. Retrieved 17 October 2010.